Since I'm not the only one captivated by robin's egg-to-turquoise hues, I thought I'd offer some sources. Brora call this luscious shade opal, but it looks like a pale-ish robin's egg to me, (with no green in it, Lisa). Excellent quality from a beloved Scottish maker. 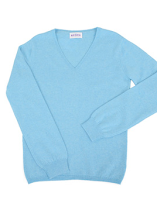 V-neck, £169. International shipping. 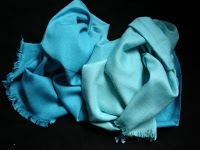 Pash minas Direct will make shaded pieces by order, like this turquoise ranging from pale to deeper hues, about £35 for a 75cm x 180cm shawl; send a request via Pashmina Direct's online store. 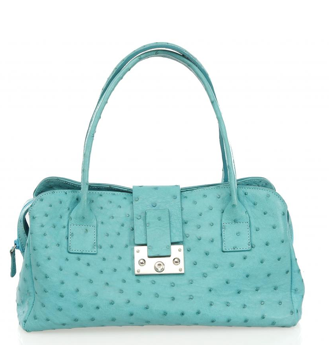 Turquoise ostrich tote, in good/very good used condition, lined in camel suede, $1,380 from Portero. Talbot's piqué jacket in "Adriatic", web only. The brand I love to slam may have created a really solid winner. It even has a waistline. Baccarat crystal Galet pendant, $230, available to US only from Neiman Marcus. 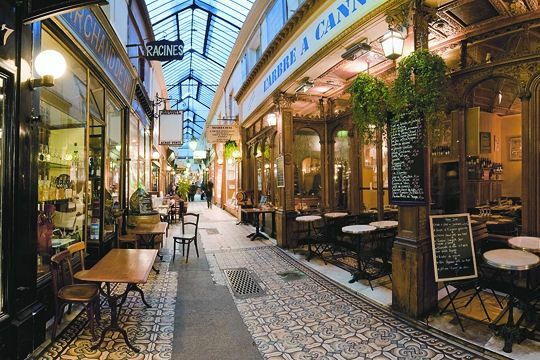 You can find Bacarrat jewelry at many other locations, such as Galeries Lafayette in Paris, and at Bacarrat boutiques worldwide. Diane von Furstenberg Kula leather sandals, $245 from Net-a-porter. I like the graceful proportions and gold leather detailing, which takes this sandal from day to night. I'm still looking for my robin's egg driving loafers! 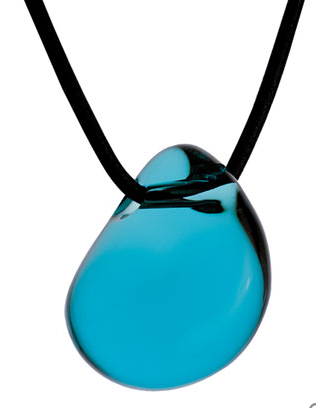 Imo9gen: The pendant comes in an array of marvelous colours and in clear crystal. I love them too. Pretty turquoise colors and the pendant is lovely. 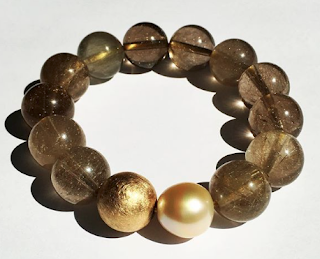 It seems like the perfect touch for the warmer weather. I should move up my turquoise tunic in my sewing list. You've inspired me. The palish robin´s egg looks as nice as it sounds. Turquoise is a bit too strong for me. You have gathered a nice collection around the color. These are all so pretty! Talbot's also has a pretty blue called "brook" that they've been offering in their knitwear. I'm discovering this range of blues is very wearable. 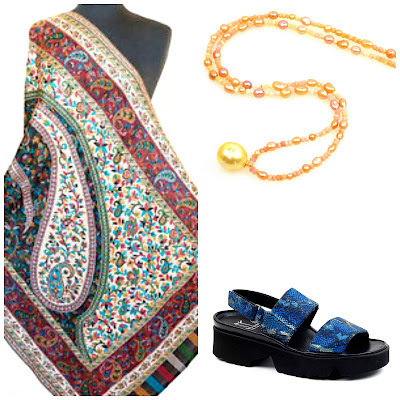 So gorgeous - colours I love to look at but cannot wear ... Sigh. materfamilias: Yes, yes! You would suit that scarf and hope you buy it and show us. tiffany: I'm not doubting you, am just curious- what's your colouring? I like that Talbot's jacket. Who knew? Such a pretty colour but looks dreadful on me; I'll enjoy it on others. Talbots has upped their game lately - good for them! I'm a pale-skinned freckly brunette with green/hazel eyes. Blues just don't look that great on me - but it doesn't stop me wearing turquoise jewellery when I feel like it! Ahh . . . turquoise. Every Tuesday, I host a Turquoise Tuesday Party and you may want to link this post. Carmie: That Target bracelet is somethin'. So Palm beach perfect and who cars if the enamel does not hold up past one summer. 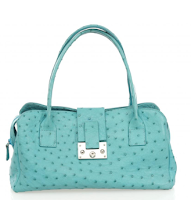 Turquoise Tuesdays forever!